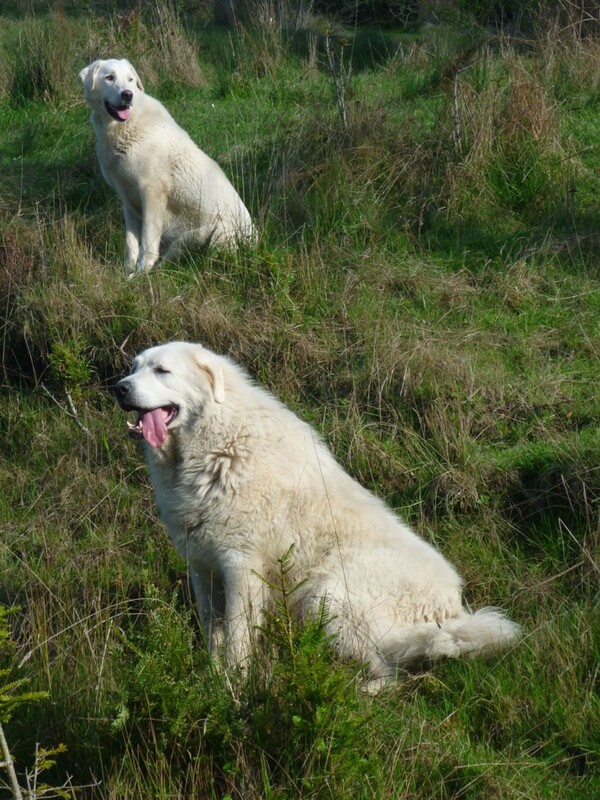 Our livestock protection dogs (LGD) are a Turkish breed called Akbash (white head). They are large, strong, very independent, dedicated dogs. They are forward in their protection behaviors confronting predators directly. They live with the sheep out in the pastures year round. They are an extremely important part of our farming system, without them we would not be able to raise sheep. Learn more about Akbash dogs here.